Welcome to Independent Shellfish, the largest shellfish wholesaler in Bridlington. We specialise in live lobster, brown crab, velvet crab and whelks. We pride ourselves on the quality of our products and our care of them when they are landed, ensuring they are kept in the best condition. We currently act on behalf of 31 vessels, selling their fresh catch for both processing and the live market. 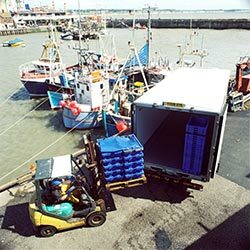 There are all kinds of vessels, from a 5m wooden coble to a 15m steel hulled vivier vessel allowing different boats to utilise the different areas of fishing ground. Our boats are based on the Holderness Coast which is the east coast of Yorkshire from Flamborough Head to Spurn Point.